Welcome to another edition of Penguin of The Week. 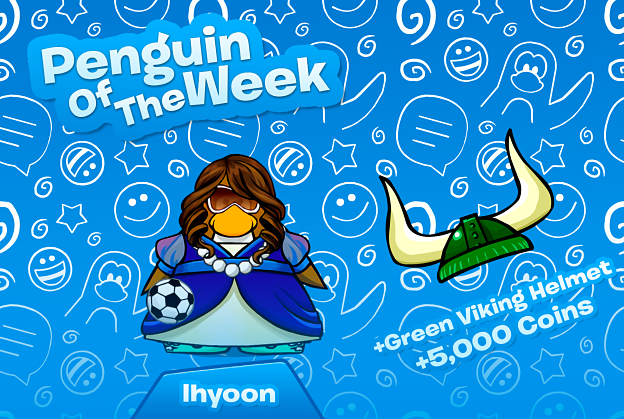 This week the winner is the user Lhyoon, congratulations! Lhyoon makes awesome Club Penguin Online videos on her Youtube channel 'CPOWorld'. She's also an amazing and talented artist, making fan art for our game - she's incredible! We're glad to have a user like you in our community, congratulations Lhyoon!